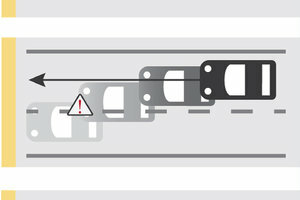 Toyota is an automaker known for its reliable, fuel-efficient, safe and versatile vehicles. That said, the Japanese manufacturer also knows how to develop models that are aggressively designed and that are very capable off-road. Case in point, the Toyota TRD Pro model range, rugged vehicles that are not afraid to venture off the beaten track. With the new Toyota TRD Pro line of vehicles, you get very robust models that can go confidently on just about any off-road trail. 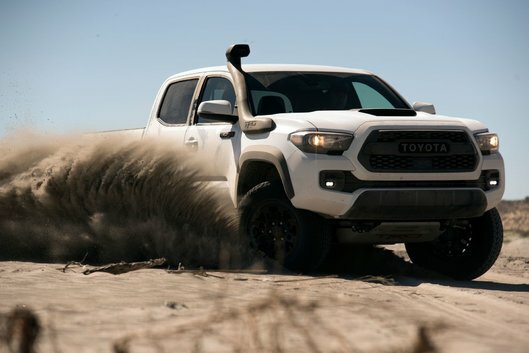 Available on the Toyota 4Runner, Toyota Tundra and Toyota Tacoma, the TRD Pro range will stand out in the crowd while also providing their owners with impressive off-road capabilities. For 2019, the Toyota TRD Pro range receives several improvements that have been developed by experts from the Toyota Racing Developers Division of the Japanese manufacturer. Indeed, we are talking here about elements like new Fox shocks, exclusive to the TRD Pro range. These shock absorbers are calibrated specifically for each TRD Pro vehicle to achieve high performance under all conditions. 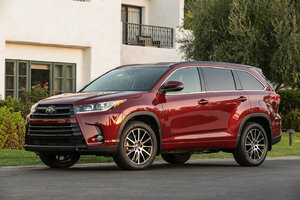 When it comes to styling, the Toyota 4Runner, Toyota Tacoma and Toyota Tundra TRD Pro have much more robust wheels and tires, powerful engines, underbody protections, more muscular suspensions and exclusive colors. The latter, Super Blanc, Midnight Black and Voodoo Blue, allow everyone to immediately recognize the products in the TRD Pro range. With TRD Pro vehicles, you get to venture off-road with complete confidence while also getting a reliable vehicle that won’t let you down. If you want to tackle any adventure, trust the Toyota TRD Pro lineup. 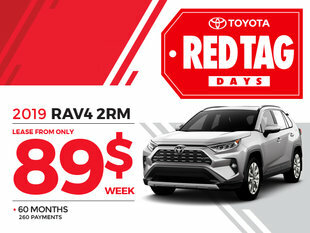 To learn more about the new Toyota Tacoma, Toyota Tundra and Toyota 4Runner and their TRD Pro versions, contact us today at Vimont Toyota Laval.